Comments Man’s eternal quest to improve his life leads him to explore several options. 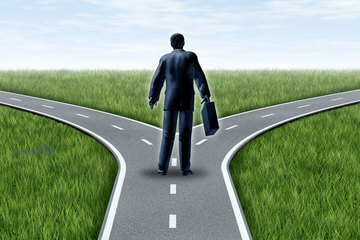 Life is about choosing the right options. 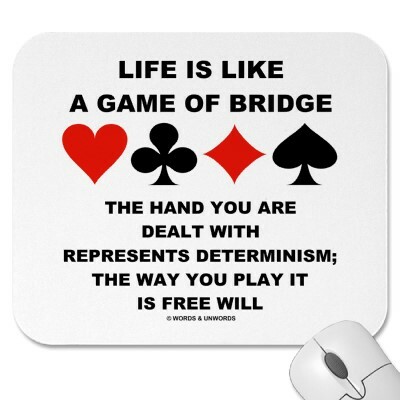 The only difference between a lucky man and an unlucky one is that the lucky man finds himself in the right place at the right time (read opportunities) and makes the right choices. 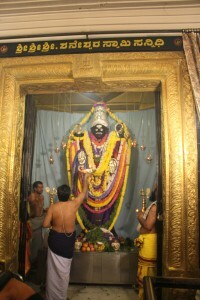 The only factor common among them is hard work – Karma.One of the ways man has explored, to tap the potential of the divine is by using Gemstones. These miracles of nature formed over thousands of years have been one of man’s best friends, philosophers and guides. The Indian system of Gem recommendation by Jyotish – the science of light has provided miraculous results to people since times immemorial. A Gem recommended on the principles of Vedic Astrology after an in-depth study of the horoscopes and the objectives of the individual is called a Jyotish Gem. Recommendation of a Jyotish Gem is just one part. 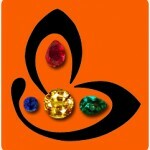 Selection of a Jyotish Gem is another part. When both recommendation and selection are perfect you get the promised power of a Gemstone. Before one tries to explore the meaning of a Jyotish Gemstone one should know what is a Gemstone. 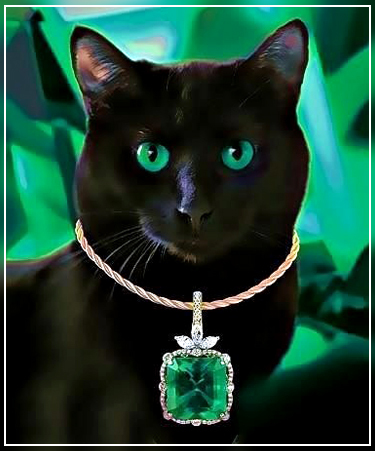 A Gemstone is a fine precious or semi precious mineral that is fit to be used for adornment or for jewellery. 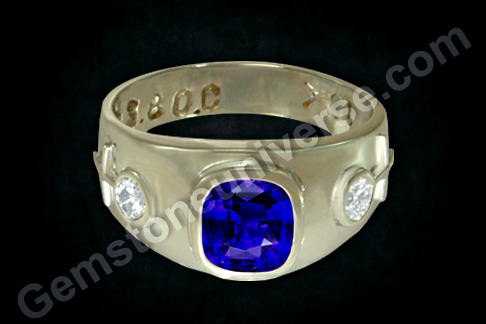 To be regarded as a Gemstone a mineral must be beautiful, rare, and durable. So what do we get out of this definition? – It is Not beautiful. It is not rare- This was white in color before being heated and diffused to give it Yellow color. 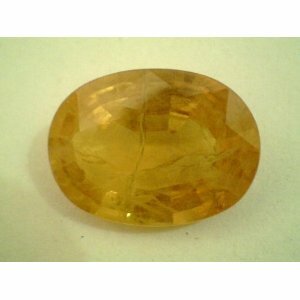 Natural Yellow Sapphires are rare. This mineral is a true Gemstone. It qualifies on the definition of a Gemstone. It is Rare- Because it’s natural and unheated. So Before one selects a Jyotish Gemstone one should first find out a Gemstone. Why are Jyotish Gems Rare? 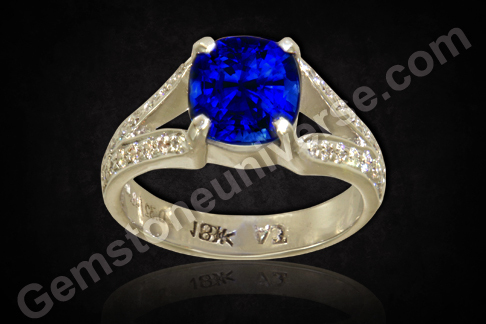 A detailed article on what are Jyotish Gemstones can be found here. A Jyotish Gem is rare because for every Gemstone the sacred texts specify that besides being a Gemstone, a Jyotish Gem should be treatment free and be free from certain flaws/ doshas to give desired results. Every single gem has a list of flaws that should be absolutely avoided. This knowledge is not common in the market place. One has to be an expert to select a Jyotish Gemstone. 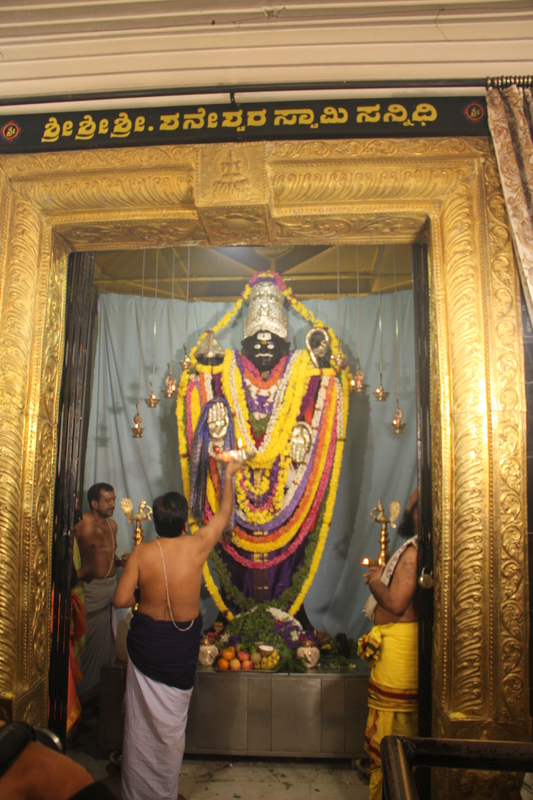 “If anyone wears a gem of many flaws even out of ignorance, then grief, anxiety, sickness, death, loss of wealth and other evils will torment him” – (Garuda Purana, 70.19). Only a true Jyotish Gem can harness the energies of the concerned planet and that translates in being in the right place at the right time. Through the looking glass, you look at your future, garbed in the hues of fortunate gold and sparkly brilliance. No. no. That’s not daydreaming. This is precisely what this 4.90 carat beauty could have you peeking into. Behold the oval cut, rich butter yellow sapphire from the Ratnapura mines of Sri Lanka from the lot Amun 2012. 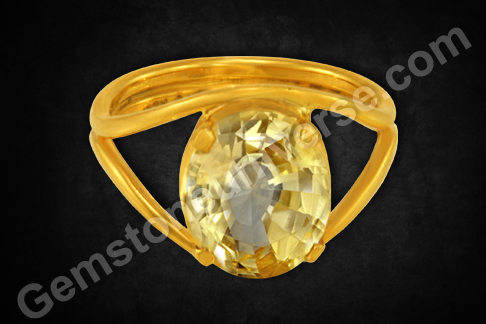 It is a completely natural, untreated, unheated Yellow sapphire, which is eye clean and super lustrous. Resonating with abundant energies of Jupiter, it will definitely make a fine and powerful talisman. The solid weight of 4.90 carats will ensure that. 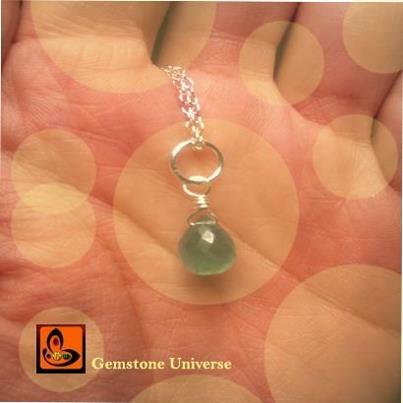 Play the video and see what makes a Jyotish Gem so special, so rare! 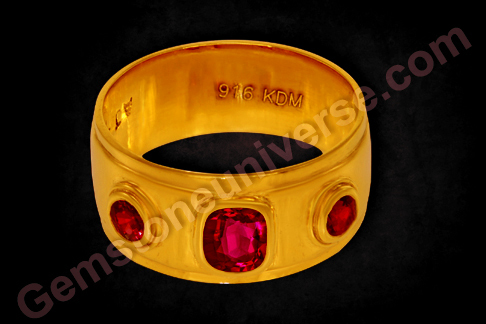 When a Gem such as this gets set in a ring in an auspicious times and get consecrated and energized with full Vedic Rituals it is an instrument of positive change and blesses its owner with material and spiritual gains. Comments The sense of awareness and reckoning comes by the grace of planet Mercury. And individual may be intelligent but the edge and perceptiveness, the striking personality and sharp mind are a blessing from Mercury. 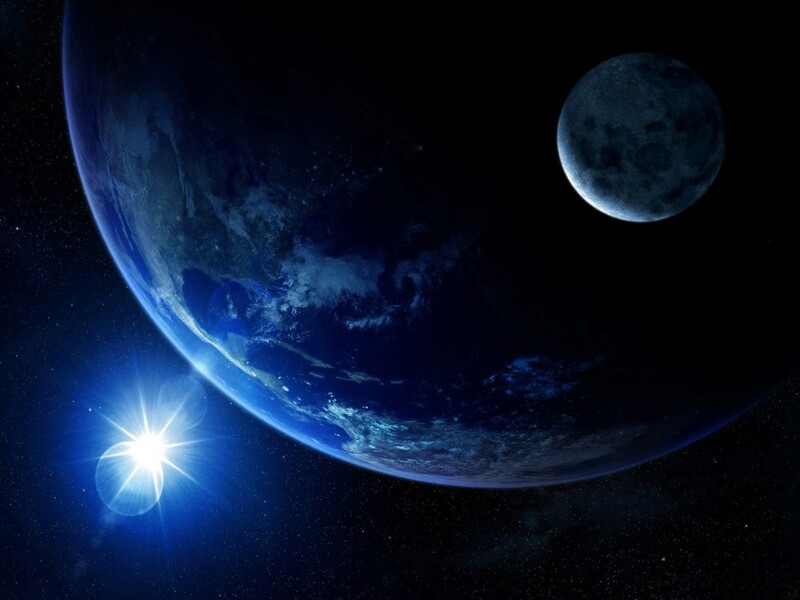 This planet holds the key to many secrets and even more layers of consciousness. If this is further blessed by the one of the guru’s, rest assured the individual is an evolved being and transcends the preoccupation with mundane material objectives. Featured today is a fantastic natural and treatment free Burmese peridot of 4.28 carats with perfect rich olivine grass green color. The gem is an emerald cut baguette with excellent clarity. 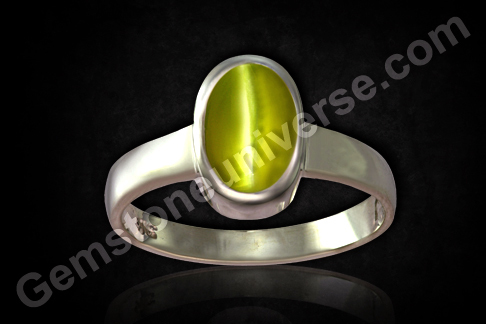 The natural Burmese peridot has been set in Sterling silver as a Mercury talisman. Please keep in mind that peridot is one of the toughest gems to cut, any error of judgement can damage the gem. Despite that, a cut so pleasing just catapults this gem into the premium grade of peridots. 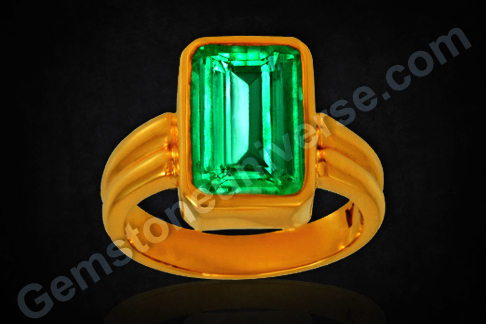 Peridot or zabargad, is the alternative gem for natural emerald or panna and is the gemstone of planet Mercury / Budh. 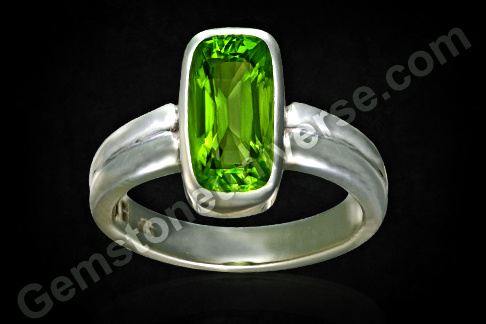 The fantastic charismatic energies of Mercury can be harnessed by wearing its gem or the upratna which is peridot. Peridot is a healing gem widely known for helping the wearer embrace reality with ease and to aid the wearer in healing from emotional hurt, self-pity or trauma of the past. It is a fairly popular gem with luscious color akin to olives, hence its other name olivine. Which is the best alternative Gemstone to Diamond- and factors affecting White Sapphire price? The Gemstone that gives best results as an alternative to Diamond to harness the powers of Venus is a White Sapphire. With hardness just next to the Diamond this gemstone is found rare in Gem Quality. What is meant by Gem Quality is that the Gem must be free from treatment and excel on all the 4C’s of cut, color, clarity and carat weight. 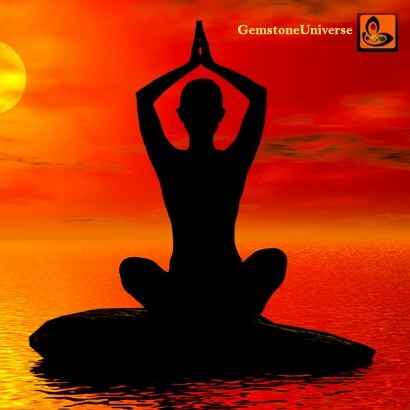 Jyotish Quality goes a step ahead of Gem Quality and in addition to a Gem being Gem Quality it should lack any of the flaws listed in the Shastras. The White Sapphire is the purest form of Corundum and is also referred to as the leucosapphire. It is very rare to find a real white sapphire without any tinge of red, pink, green, blue or yellow shade. Even though top quality flawless gemstones can be found in smaller gemstones of less than .50 carat , a Colorless sapphire in higher weight ranges such as 1.5 carats and above is exceedingly rare. 1) Clarity: The first C that affects white sapphire pricing is the clarity. 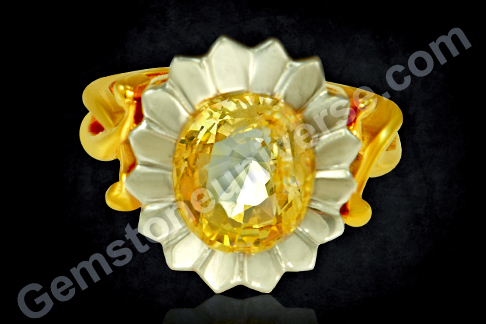 Since it is a Colorless gemstone any kind of visible inclusions bring the price of a white sapphire down. Clarity is paramount. 2) Cut: The cut in a White Sapphire has to be perfect to ensure that pure white light is reflected through its facets. 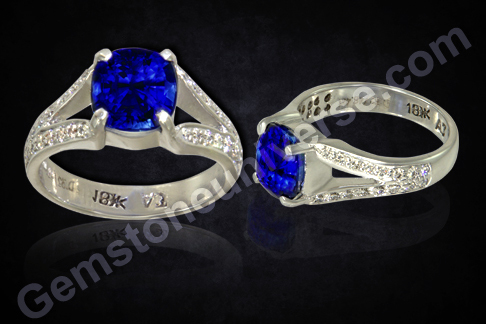 The attention to detail in cut in a White Sapphire is much more as compared to other Sapphires. 3) Treatment: Most of the White Sapphires are routinely treated to create other colored Sapphires and hence there is a rarity of truly natural and unheated white sapphires. 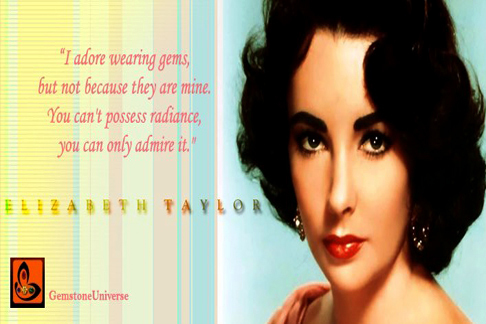 A Gem can be called as a Gem only if it is Natural and Untreated! 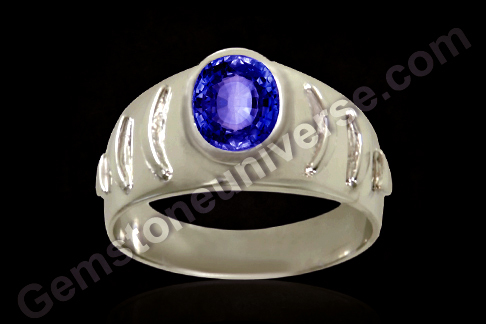 For Jyotish Purposes the white sapphire has to be flawless with no compromises. Comments Featured today is a brilliant 2.31 carats adamantine beauty from the gem fields of Ratnapura-Srilanka. 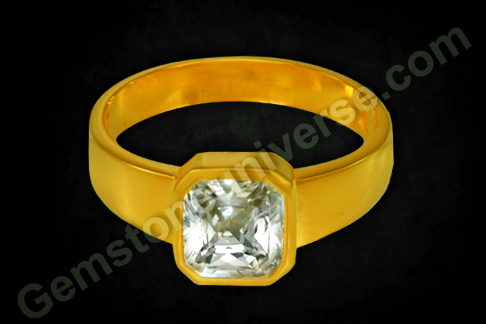 Excellent clarity, a brilliantly faceted octagonal faceted gem reflecting just the pure white light, a solid carat weight of 2.31 carats and lack of any enhancing treatment make it a true Jyotish Gemstone. 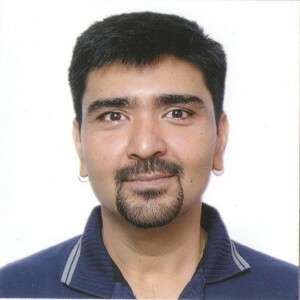 A Gem that shall deliver results and a gem whose monetary value and rarity will keep on increasing.Have a Look at the video and see why Jyotish Gems are so special.